I have stayed here before and honestly, its such great value for money! the beds are so comfy and the apartment was great, me and my friends cant recommend this enough!! staff wore amazing and helped us with places to go, will definitely be back! 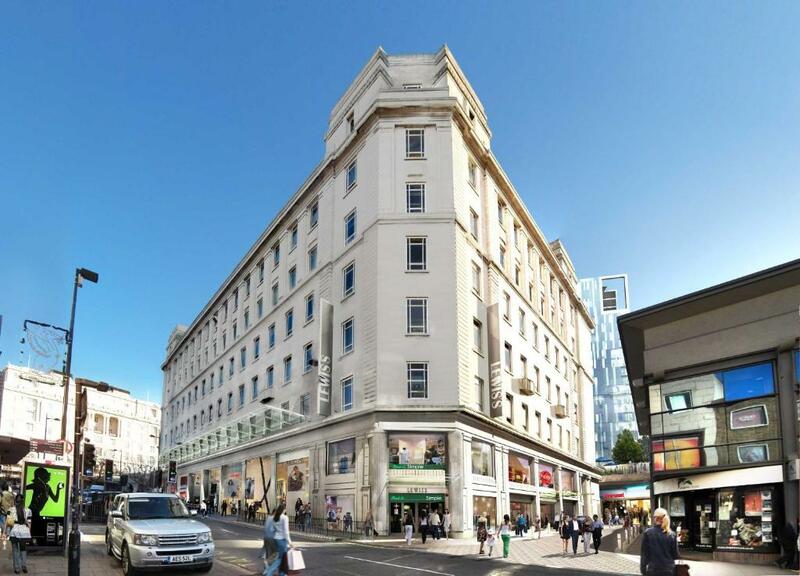 Location that is only 5 mins walk from the Lime Street Station. Lots of grocery store within walking distance. If you’re a Moslem, you will find Halal eateries nearby i.e Archies for delicious burgers, shakes and smoothies, Chicken Bazooka for delicious fried chicken (really good) and Kokoro for delicious Japanese food. Compact layout. Everything is in the room except for washing machine that you need pay for a total of £5 for washing and drying. Cleaning is an extra charge ... but great thing, you can borrow a vacuum cleaner from the reception. There are board games, Nespresso Machine to borrow too. The staff were extremely helpful and friendly. Location was perfect and suited our needs. Good for a family holiday. I admired and appreciated the well-thought-out, comfortable, and convenient design and layout. I stayed here for 2 weeks and everything functioned perfectly. It was a cozy home-away-from-home. The room is cleaned once we arrived, all places are close to the Hotel. Liverpool train station is just opposite to the hotel. Excellent location. Great staff. Very handy to have a kitchen! The breakfast & community room was very nice. Breakfasts were good, not great. My room was spacious. The location was central and convenient to the train station. 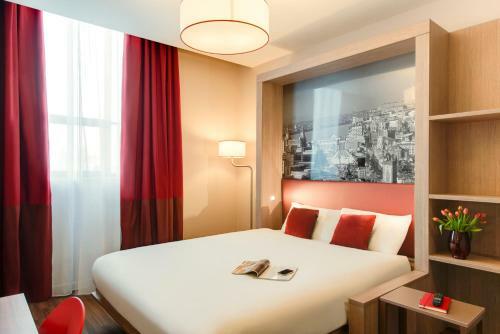 Lock in a great price for Aparthotel Adagio Liverpool City Centre – rated 8.9 by recent guests! 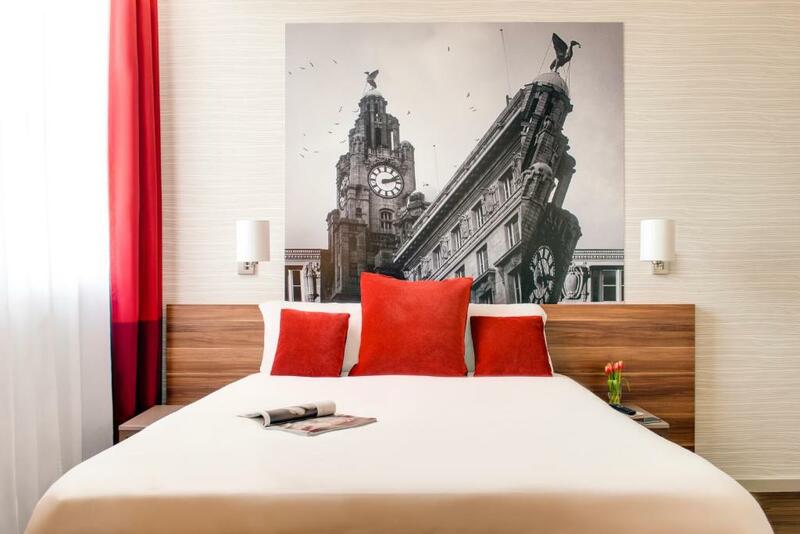 Aparthotel Adagio Liverpool City Centre This rating is a reflection of how the property compares to the industry standard when it comes to price, facilities and services available. It's based on a self-evaluation by the property. Use this rating to help choose your stay! One of our top picks in Liverpool.Aparthotel Adagio Liverpool City Center is nestled between Liverpool Central railway station and Clayton Square Shopping Center. Offering a free on-site fitness center and free Wi-Fi, these apartments are 5 minutes' walk from Liverpool Lime Street Station and 10 minutes' walk from both the Echo Arena and ACC Liverpool Convention Center. 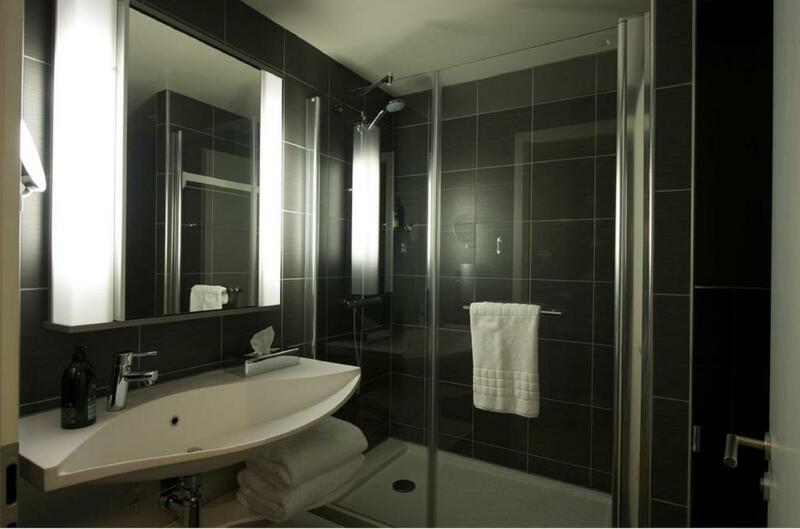 An private bathroom, flat-screen satellite TV and fully fitted kitchen with dishwasher are featured in each Adagio Liverpool apartment, as well as air conditioning. The historic Albert Dock is only a 15-minute walk from the hotel and features The Beatles Story attraction, Tate Liverpool art gallery and Merseyside Maritime Museum. Liverpool city center offers a wide array of nightclubs, shops and restaurants. Guests can receive discounts on private parking facilities nearby. When would you like to stay at Aparthotel Adagio Liverpool City Centre? 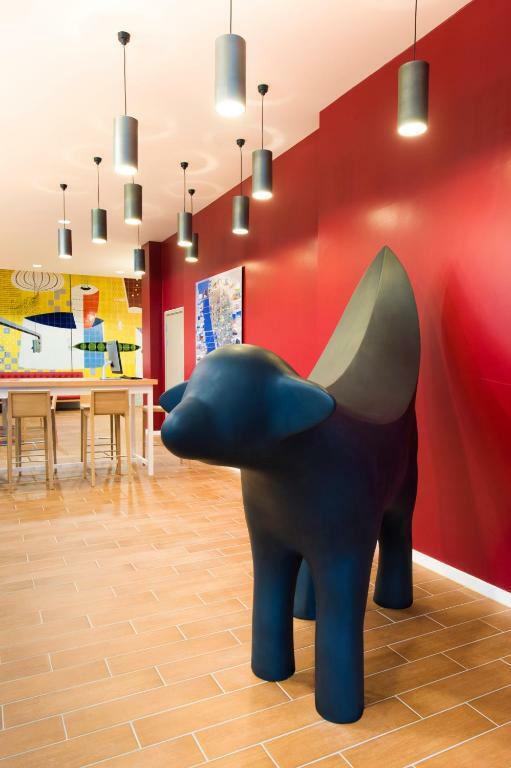 This air-conditioned apartment features free Wi-Fi, a satellite flat-screen TV and a full kitchen. Public parking is available at a location nearby (reservation is not possible) and costs GBP 7 per day. 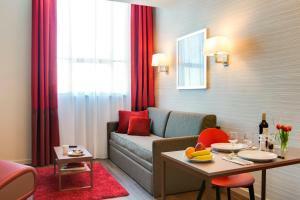 This air-conditioned studio features free Wi-Fi, a satellite flat-screen TV and a full kitchen. This studio has a toaster, air conditioning and kitchen. In the former iconic building of Lewis’s Department Store. In the Heart of Liverpool City Center Our apartments have all the facilities you need to make you comfortable and safe : Fully furnished apartments with kitchen, hotel services. In the former iconic building of Lewis’s Department Store. In the Heart of Liverpool City Center. 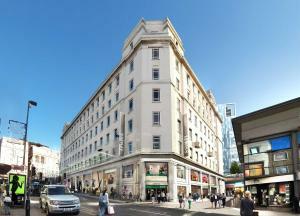 The Adagio Liverpool is a short walk to all of the major sites in Liverpool City Center. House Rules Aparthotel Adagio Liverpool City Centre takes special requests – add in the next step! Aparthotel Adagio Liverpool City Centre accepts these cards and reserves the right to temporarily hold an amount prior to arrival. Parking is available via the Secure car Park on Hethfield Street- L1 4EF at a discounted rate for hotel guests. 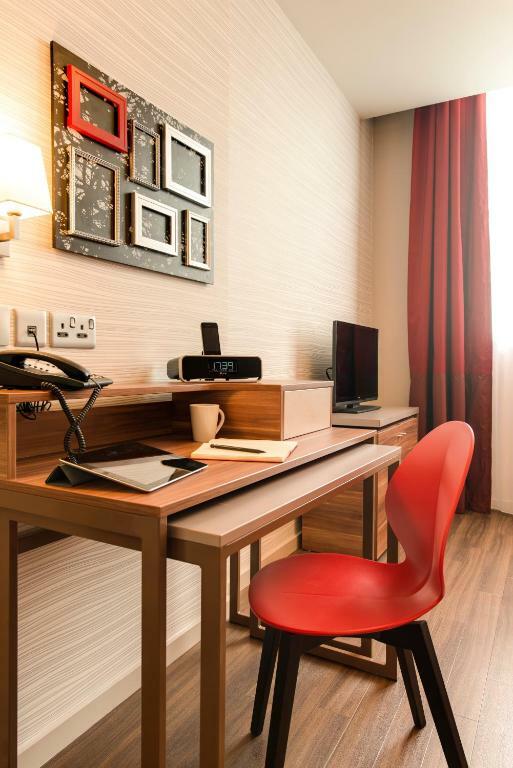 Adagio Liverpool City Center will charge GBP 100 breakage and incidentals deposit upon arrival per apartment which is returned subject to the housekeeping check upon departure. Check out time is a bit early. Excellent location quiet,.neat and clean.would recommend anyday. Excellent location, in the city centre with easy access to all main attractions. Friendly staff, very secure hotel, spotless clean. Very easy check-in and check-out. It is fully equipped apartment, even dishwasher is there. Clean, tidy, perfect. The room was lovely clean and modern. Much bigger than I thought it would be. In a great location and great facilities. It was very quiet too- we had a great night’s sleep. Rate I paid was €60 higher than price quoted on booking.com. The payment company the hotel uses charges commission on the Euro/Pound exchange rate which was not explained clearly. Tv remote was broken but sorted by a nice helpful male staff member. All good. Room was clean and as described. Location was excellent staff were very friendly. Good location, no noise from outside. Very friendly & helpful staff. Spotlessly clean with a well equipped kitchen. There were a few things in our room that were wonky or could do with fixing, which we reported as we didn't want them to think we'd done it! Nothing major though and didn't impact upon our stay. The room was spotless, the facilities were good, the staff were friendly and the location was excellent for what we needed. Beds and pillows were very comfy too, which is always a bonus.